In 1959, White Plains, New York, lawyer Leon Greenspan founded a law firm and began a career dedicated to effective legal representation and active involvement in community service. When Michel Greenspan joined the firm in 1991, that dedication doubled. The Greenspan & Greenspan law firm represents clients in selected practice areas in which our attorneys have extensive experience. Leon Greenspan and Michael Greenspan have been honored as leaders in the legal community and in the Rockland County sports, civic, and charitable communities. The American Association for Justice recognized the Greenspan & Greenspan law firm for their pro bono service to 9-11 victims and their families. When you require leadership, dedication, legal knowledge, and effective representation from your lawyer and law firm, contact the trial lawyers that get results at the Greenspan & Greenspan law firm. Located in downtown White Plains, New York, near the Metro North station and two blocks from the Westchester County and Federal Courthouses, the Greenspan & Greenspan law firm represents clients in New York City, Westchester County, Rockland County, Putnam County, Fairfield County, CT, Nassau County, Orange County, and Bergen County, NJ, and throughout the Lower Hudson Valley and NYC metropolitan area. Our law firm also has affiliated offices in Florida, New Jersey, and Connecticut. I would like t say thankyou t mr micheal e greenspan and his staff. it was my first time t visit his office.all his staff were very helpful & responsive to all my questions and concerns.i got a celler phone ticket. but micheal took care off my tickets. which I really appericiate,,all his staff was very professional & very polite its . 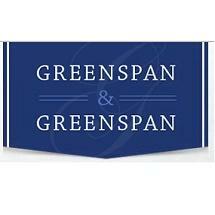 my advice t all the client if they looking for great Attorney go to GREENSPAN&GREENSPAN.i would highly recommened this attorney.thanks MICHEAL.